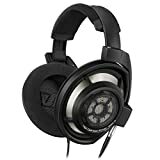 If you want to own the best quality headphones, you should always consider the features of the one that you will be purchasing. It will hugely affect your music experience especially on the way the music really sounds like. The headphone’s ability to maintain the volume at safe levels is an important feature to have, especially if there are little ones who want to borrow it. Volume-limiting headphones are designed to do exactly just like that because they will maintain the volumes to only 85dB or less. Also, you should note that not all volume-limiting headphones are safe for children to use but can still be a really good choice for adults who may want to protect their hearing while they listen to their music. Noise-canceling or active noise reduction headphones use one or more tiny microphones to catch ambient sounds. These sounds will then be electronically phase-reversed and be reintroduced into the output of the speakers. This process will effectively cancel out the original sounds in the listener’s ears. Having bone-conducting headphones can easily bypass the eardrums so that it can deliver the audio directly to your inner ear through vibration in the bones in your head. This feature is ideal for people who want to clearly hear the music without the need to isolate the background noises. It can be helpful for joggers who want to get pumped up during their exercise but still want to be aware of the traffic. There are some bone-conducting headphones out there that are designed for underwater use which surely makes it ideal when you are swimming or just relaxing in your bathtub. Also, users claim that this feature is helpful when you don’t want to turn the volume extra loud that might result to ear strain. This headphone feature will monitor your heart rate by gathering the data straight from your ears while you listen to your favorite tunes. It is ideal for fitness enthusiasts since they won’t need an additional device to keep tabs regarding their heart rate. This technology will encode the audio from your mp3 device and will transmit it wirelessly over short distances. The great thing about such feature is that it will deliver high-quality audio without worrying any of the wires from getting tangled up. It can be a great convenience when you’re doing physical activities such as cleaning around the house, jogging, workout and many more. There is also an emerging technology that is similar to Bluetooth called the Kleer Audio. The advantage it has over the Bluetooth is that it is less prone to interference. This type of wireless transmission can be mostly found in headphones that are specifically made for home use. Gaming headphones are often designed with boom-mounted microphones that will allow voice communication especially during a multiplayer session. 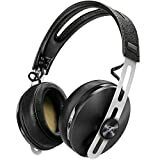 Some portable headphones that are intended for use on mp3 players and smartphones may include a small cord-mounted microphone that also comes with a control for mute, volume and even track advance. Surround Sound headphones features are mostly used for gaming and home theaters. It employs multiple drivers within each speaker enclosure to specifically reproduce the multi-channel surrounds formats such as the Dolby Digital. This headphone uses electronic processing to emulate the multi-directional cues of surround sound that is all thanks to 2 speaker drivers. With these features, you are no doubt one-step closer to purchasing those headphones which you will enjoy the most. It will change your experience to the way how you listen to music especially on some unique tunes that it may have all along. Consider this guideline to ensure that you won’t be making the wrong decision after purchasing your own headphones.